The Elstead Provence old bronze finish 1 light adjustable floor lamp, a simple classic design, with a sturdy circular base, adjustable arm and shade. It is hinged in two places on the stem and at the shade so you can direct the light just where you need it. The conical shade ensures that the light is directional to assist in reading or any other tasks. A lovely floor lamp taken from French designs in the mid 1900’s where they were most commonly used to provide illuminate for reading or any task. 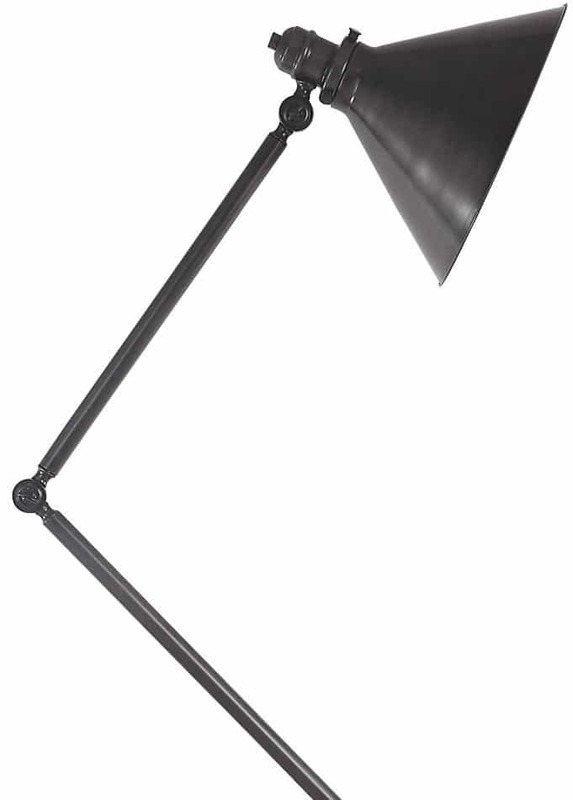 An elegant, functional lamp that would look great alongside your favourite chair as a floor reading or task lamp. Elstead Lighting is a British company that specialises in the manufacture and distribution of decorative lighting such as the Provence old bronze finish 1 light adjustable floor lamp you see here.